A unique orchestra enables members of the medical community to continue their passion for playing music. 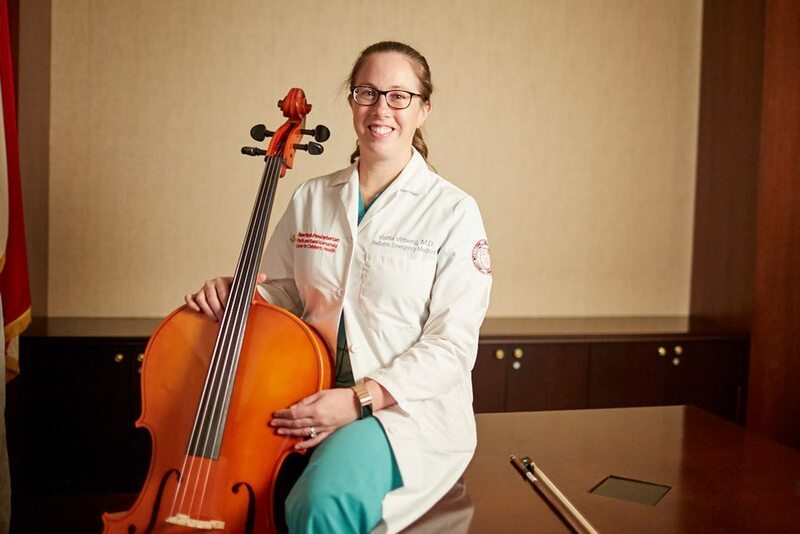 After finishing a recent shift in the pediatric emergency department at NewYork-Presbyterian/Weill Cornell Medical Center, Dr. Yaffa Vitberg hauled her cello to rehearsal to prepare for the annual fall concert. 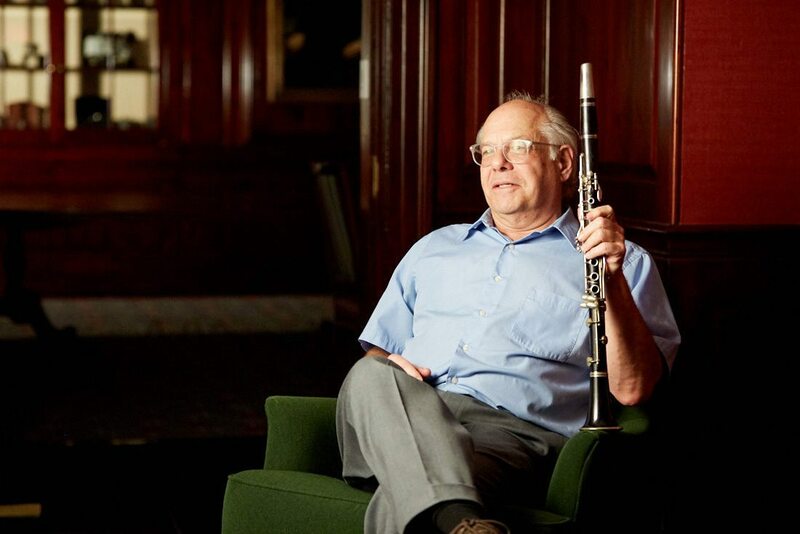 Joining her was Dr. Edward Moss, a urologist at NewYork-Presbyterian Lower Manhattan Hospital and a 60-year veteran of the clarinet, along with dozens of other doctors, residents, students, and additional members of the medical community throughout New York City who constitute the Music and Medicine Orchestra. Music is an essential part of the holiday season, a time of song and celebration, and every year the orchestra contributes good cheer. “Many physicians and scientists have a passion for music,” says Dr. Shapiro, attending psychiatrist at NewYork-Presbyterian/Weill Cornell Medical Center and clinical professor of psychiatry at Weill Cornell Medicine. Today, the program includes a jazz ensemble, an a cappella group, chamber music groups, and a full orchestra. The latter performed its annual fall concert for the public November 21 at Caspary Auditorium at Rockefeller University. The program featured works by Wolfgang Amadeus Mozart and Camille Saint-Saëns. There is also a concert every spring. 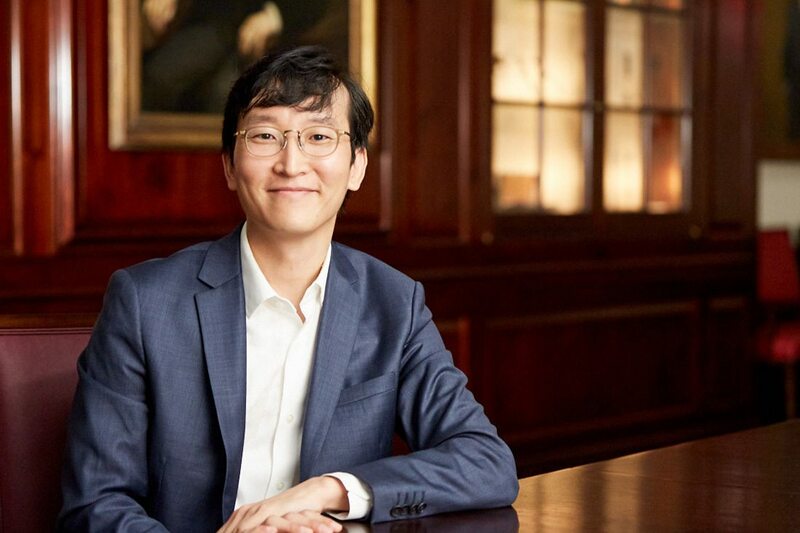 Kyunghun Kim, the conductor, has been with the orchestra since 2014. The musicians are grateful for the opportunity to flex their artistic muscles, too, and pledge to attend at least five of the six rehearsals that take place before each concert. Music also helps drive their work. 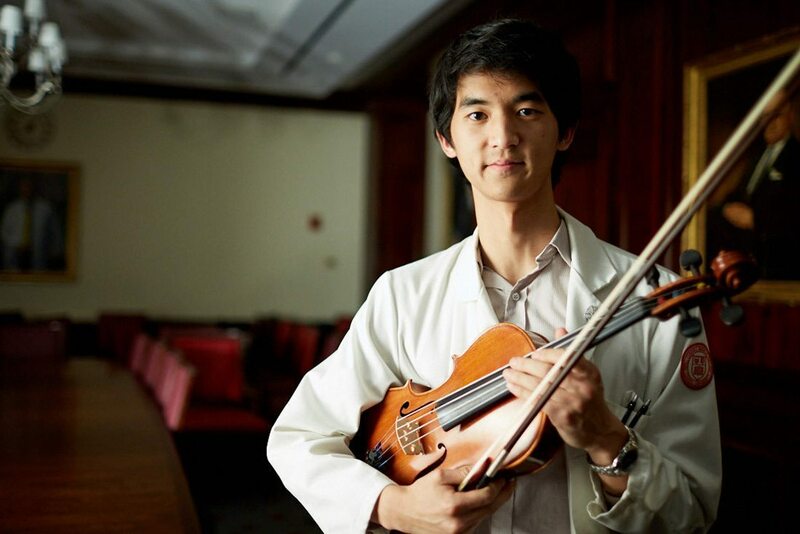 As Dr. Shapiro noted in founding the program, there is a deep connection between medicine and music, and the musicians say their participation in one enhances the other. Hung and fellow students from the Music and Medicine program play at bedsides and in an infusion center for cancer patients, and they throw impromptu recitals for patients and their families at NewYork-Presbyterian/Weill Cornell Medical Center. 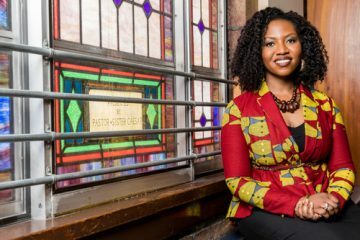 Dr. Moss cites a skill set that includes discipline, motivation, and commitment as the basis for success in both practicing medicine and playing music. 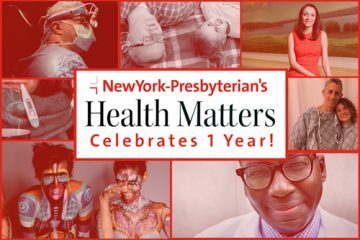 “There is enjoyment in the creativity that you get at the end result with music, whereas using those skills, taking care of a patient, there’s satisfaction that you’ve helped another human being,” says Dr. Moss, an affiliate assistant professor of clinical urology at Weill Cornell Medicine. The program’s artistic director, Dr. Richard Kogan, is a psychiatrist and concert pianist who performs 50 lecture/performances a year in which he explores the connection between music and medicine. Music and Medicine program manager Nancy Amigron concurs, adding that music is an invaluable component of recovery.